- the game must have a full-fledged story. So multiplayer-only games and half-baked stories, like the ones in Evolve or Titanfall, don't count. We need this rule to establish that the character isn't just window-dressing, that they have an importance. - Any genre and sub-genre is accepted, and the same goes for the platforms the games can be played on. They do not stack, obviously. Sequels and prequels do count and every installment in a series is considered a game on its own, as it actually is. - The protagonist has to be a pre-established black character, so any games featuring full customization don't count, and in my opinion those games are in a classification of their own that I'd like to explore sometime in the future. - Biracial characters, like Lincoln Clay, count, if they are half-black, of course. I am very interested in writing about other races or ethnicities in video games in a future article. 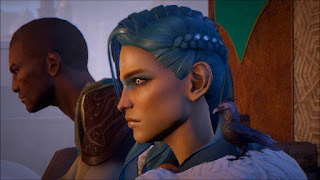 - The games can feature switchable or story-shifting character, like Call of Duty games, for example, but not temporary characters like the ones we take control of in Dragon Age. That goes for unlockable characters too, like Piranha from Jet Set Radio, or any player two characters, like Sheva Alomar of Resident Evil 5. Every playable character must have the same weight on the plot or in leading the story. - The race of the character has to be noticeable in the game, no separate media or material outside the game describing the character counts. It must at least be a character synopsis at the beginning of the game or a picture showing the character. I think it would go without saying, but I have to point it out as a rule. - Since many games, especially fantasy role playing ones, have their own lore and races, like the fiery Redguards from The Elder Scrolls games, it doesn't matter if the protagonist has a darker or lighter skin, as long as it is really obvious the character is black. 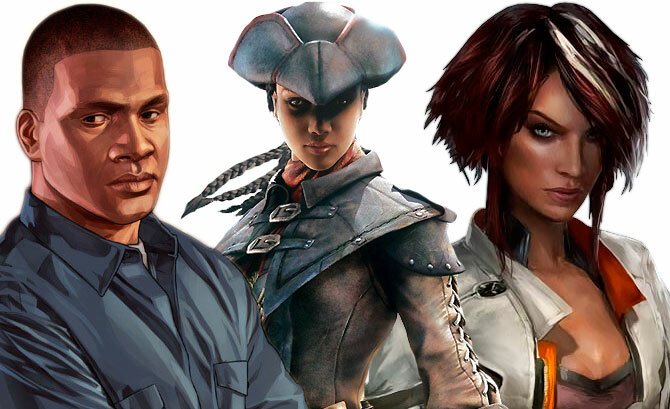 - For games set in a realistic setting, nationality doesn't matter, as long as the character is black or of obvious black ethnicity. - Faceless characters like Alcatraz from Crysis 2 and 3 will not count, even if the nanosuit has Prophet's "personality". Alcatraz might be black, but I don't really know that. - As hard as it is for me, I'll have to rule-out DLC, although I will make exceptions with good motives for stand-alone expansions. And obviously, mods that alter characters don't count either. Curtis James Jackson III, also known as 50 Cent, plays an over the top version of himself in this game about vengeance. After some hitmen attack him and his posse, he's left for dead, but comes back to take his revenge. I've never played this game, but from what I've heard the game was actually decent, with a good story and sound, the only downside being awful controls. There's also a G-Unit Edition for PSP that was redesigned as an isometric shooter, unfortunately getting the same reception. 50 Cent returns again in this sequel that's a lot zanier and the tone seems to fit a lot better to the game. The story centers around an expensive crystal skull that's given to 50 Cent for an... errand. But terrible people steals the skull from his and he's adamant about getting it back, like deadly serious. While being a straight up third person shooter, the gameplay mechanics are spot on, the graphics are surprisingly good, and the story and voice acting, including cronk music, all make this game a blast to play. 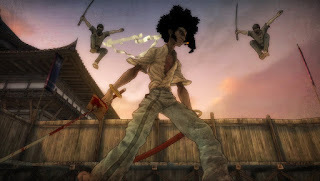 As a child, Afro witnesses his father murdered by a gunman named Justice. After mastering the craft of swordsmanship, he swears revenge. A great game based on a very successful manga, it's one of the great console exclusives I never got to play. It's an anime style cell-shaded hack and slash game with a very weird and engaging story. Captain Doug D-Ray Robinson is the brave pilot of an awesome Apache Longbow helicopter. D-Ray is the first of many character this game's story switches between, and personally, I just love taking control of an assault chopper. The game wasn't really well receive, and I can't imagine why, because it looks fantastic, the action is frantic and the series were never pretending to be simulations, but rather fun arcade shooters, and this game does it amazingly. I've played the game both on PC and PS3. Rookie is the nickname of the soldier we're playing as in the Colonial Marine campaign. His appearance is only revealed at the end of the story in a brief and dramatic cutscene. Notable is that the Marine campaign is the most intense and well regarded in this highly underrated game. I mean, I love playing as the predator, I like it more stealthy, I like the shoulder gun thingies, but the Marine campaign offers a more suspensful and terrifying experience, since he's much more fragile and most of the time alone, surrounded by deadly creatures out for blood. If you can survive that, you're a badass. Also, a much better game than Aliens Colonial Marines. American McGee's Bad Day L.A.
Oh boy, I don't know where to start with this. American McGee is a great video game visionary. I say that with the same huge confidence that made me disappointed in Tim Burton. As a kid, some of my favorite movies were Tim Burton's, like Beetlejuice and Edward Scissorhands. Hell, he made me a Batman fanboy! And I always thought he'd make a great Alice in Wonderland movie, right? Right? No, leave it to American McGee who blew gaming away with his vision of Alice's madness, and long before this game, and a decently received sequel, Tim Burton made a colorful Disney movie. Here's my point: American McGee derailed too, before his second attempt at Alice. He made this outrageous game about a series of cataclysms and disasters that hit L.A. and everyone's savior is the most annoying and stereotypical black guy. Anthony Williams is a homeless guy who involuntarily becomes the hero of the city and its desperate citizens. He's a rude, loud-mouthed drunk who kicks babies and pisses on the street. He's the rejected clone of Chris Tucker and Chris Rock all in one. And on top of the insanity, the game is boring for a long while. It's starts decent enough, but it gets worse very quick. Therefore, I could never finish the game, but maybe you can. Some say Alice Madness Returns was the downfall of McGee, but it was actually Bad Day L.A. I like Adéwalé. He was the voice of reason alongside Edward Kenway's thirst for adventure, which is interesting for a former slave who fought his way to freedom. In Freedom Cry, Adéwalé gets stranded after a battle with a Templar vessel on the shore of Port-au-Prince in Haiti. Of course, his adventure only begins, as he needs to make allies with a new faction and get a new ship. Basically, it's a short Black Flag story. Very short, actually, but it makes up with side activities in the same veins as Black Flag, although too few and too repetitive. Still, it's a recommended little standalone expansion and it's reasonably priced. Adéwalé is an amazing character to play as. In a slight spin-off of Assassin's Creed III, Liberation puts us in the shoes of the first female assassin in the series, Aveline de Grandpré. 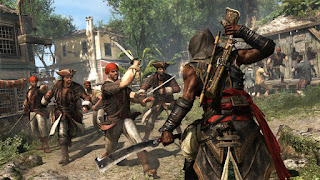 Although not a main game in the Assassin's Creed series, Liberation holds well on its own under the circumstances that it was in fact first and foremost made for the Playstation Vita handheld console, then released other platforms as Liberation HD with visibly improved graphics. Unfortunately for Aveline, also the first black main character in the series, she was just as bland and uninteresting as Connor, who she also meets for brief, when she starts getting fun and loses the "talk to herself" tutorial. She really shines towards the very end of the game when a twist shifts the story in back and forward. I kinda like to compare Liberation to the first game, although not as revolutionary. It has control issues and looked dated even in the HD version, but it has a great villain, good pacing, and some fun locations. I really recommend it. Everyone knows Borderlands and probably most of us played as Roland, the soldier with a serious attitude. 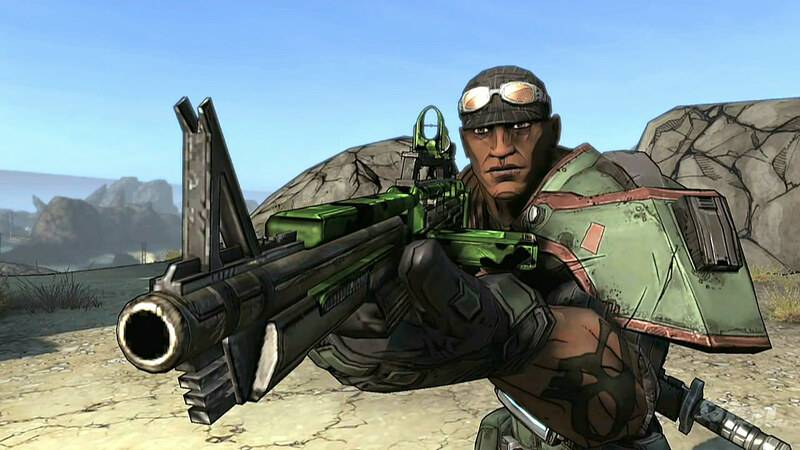 We like to play as Roland for his proficiency in every weapon, especially assault rifles, and obviously for the Scorpio turret. Upgraded, the Scorpio turret can almost make easy job of foes all alone. He's the stoic soldier who killed his commanding officer back when he worked for Atlas, and deserted only to become a vault hunter alongside his girlfriend, Lilith. Yes. There's not really much to be said, you need to play the games and slowly reveal every detail of every character piece by piece, none of them boring. I'm not going to spoil the entire story of the only black character in this series, but you should also follow him in the sequel too. 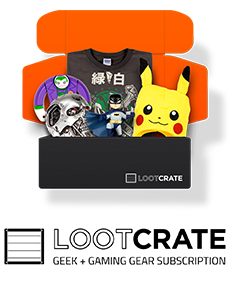 With Roland, there's always room for more loot. Oh of course the most successful superhero movie since Batman Returns got a video game tie-in. I'll be honest, I never even knew this game existed for a long time, and I have not played it, but it sounds fun... until you research some stuff about it. This game was built on the Quake 2 engine, who was only 3 years old in 2000, but graphics were still very dated, and it was only released on the original Playstation and... Game Boy Color?! Wow! When Wesley Snipes can't be bothered with voice acting, you cast cool name guy Redd Pepper as Blade, and that was a good choice. However, no Redd Pepper could save this game from bad reviews, for awful game mechanics and camera issues made playing this game very frustrating. I don't know if anyone remembers Urban Chaos or Startopia, but these were fairly well received games by critics and gamers alike, but never made many sales. Mucky Foot, the developer of those games, acquired the rights to make the sequel and tie-in video game to the second Blade movie. Blade II is the game that shut Mucky Foot down, it's that much of a failure. 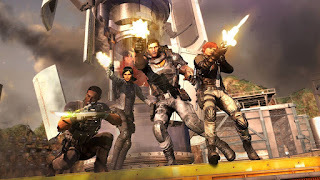 In 2002, it was still based on the Quake 2 engine and of course it had frustrating gameplay. This time around, Blade was voiced by a young white guy named Tom Clark... who actually makes some good comedy. Just like this game. 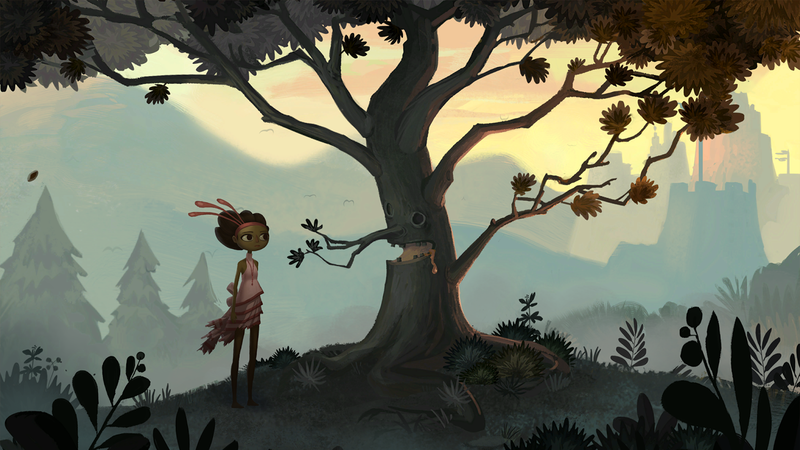 In Double Fine's Kickstarter-funded point and click adventure, Tim Schafer tells an intriguing and creative story that's split between two characters in alternating acts. While Elijah Wood does a great job as the boy character, Shay Volta, nice name, we're here to talk about the girl, Vella Tartine. Voiced by actress Masasa Moyo, Vella is the much more interesting character of the two. She's rebellious, she always questions everything and she's great at adapting her tone when speaking with other characters. There is much more emotion to her story. 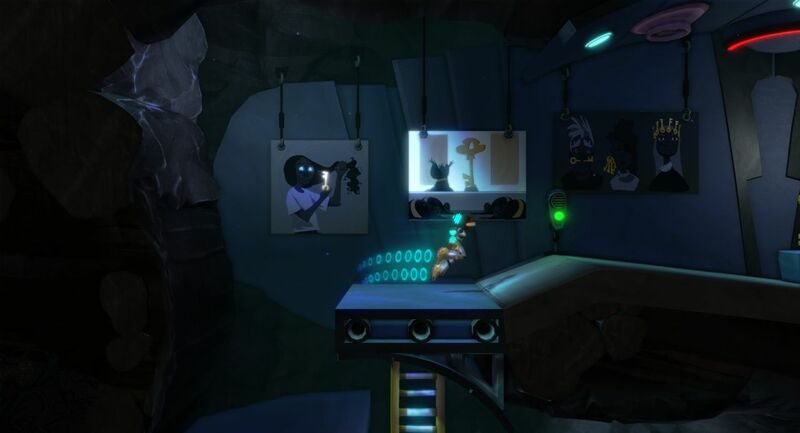 The game might not have been as well received as fans hoped it will be, but it's still a very good adventure game with some very hard puzzles that are reminiscent of the golden days of point & click games. The Call of Juarez series has a swoopy trajectory. 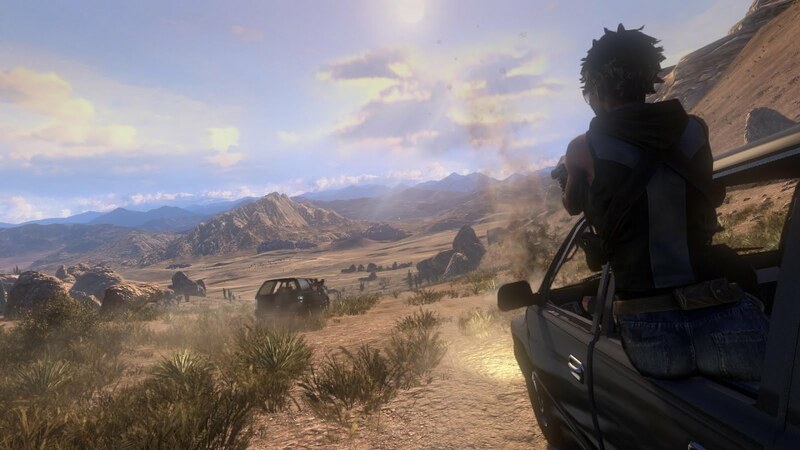 The first game, made by Techland, published by Ubisoft, was a well received game at the time, players and critics glazing over it's linearity and flaws in favor of its good stuff. Great characters, a few fun sequences and the gritty wild west setting made the first game a blast, although short. Call of Juarez: Bound in Blood took it up a notch, opened up the level design, the gameplay highly improved, graphics actually well done for its time, and instead of changing characters with chapter, you had the choice of picking between the two McCall brothers, Ray and Thomas, telling a prequel story to the first game. The Cartel, however, ditches the wild west theme in favor of a modern setting. I don't know who made this awful decision, but it was the least of its problems. The game was criticized for its awkward gameplay, awful stereotyping, poor writing and overall linearity. But I'm here to talk about FBI agent Kimberly Evans (voiced by actress Janora McDuffie), one of the three playable characters. Between the crazy Ray McCall reincarnation and the stereotypical Hispanic cop with a drug problem, Kimberly is the sanest character of the bunch, although not without her demons, because they all need some skeletons in the closet since that's an actual mechanic in the game. Thank goodness for Gunslinger! The Cave is a weird metroidvania/puzzle adventure game sort of that could've only come from the minds of those people at Double Fine. It's a great game with an fun mechanic. You choose who you want to explore The Cave with from a rich cast of characters with different abilities and zany powers and dive right in, see how far you get before getting stuck solving puzzles or traversing obstacles. One character you can play as is the Time Traveler, a scientist woman from the future who is there to "right a wrong, a million years in the making". She's probably the most fun to play as, since she has the ability to hover over water and teleport over small distances, can even skip over some parts of The Cave altogether and collect some items other characters can't. Very fun game, totally worth playing. Polish studio Techland, known for the Call of Juarez games, all of them, stepped in the zombie genre, because that certainly is a thing, and developed Dead Island as a first person action survival game with co-op elements. You get to pick one of four characters... Yes, okay, just like Left 4 Dead. You pick one of four characters (5 with the Ryder White DLC) and slash your way through zombies with makeshift weapons and whatever you can find... yes, alright, just like Dead Rising. The character we seek is rapper Sam B. He was so cool in the game, Techland actually went the extra mile and hired singer Josef Lord, by his stage name J7, and made a few music videos with the popular in-game songs. 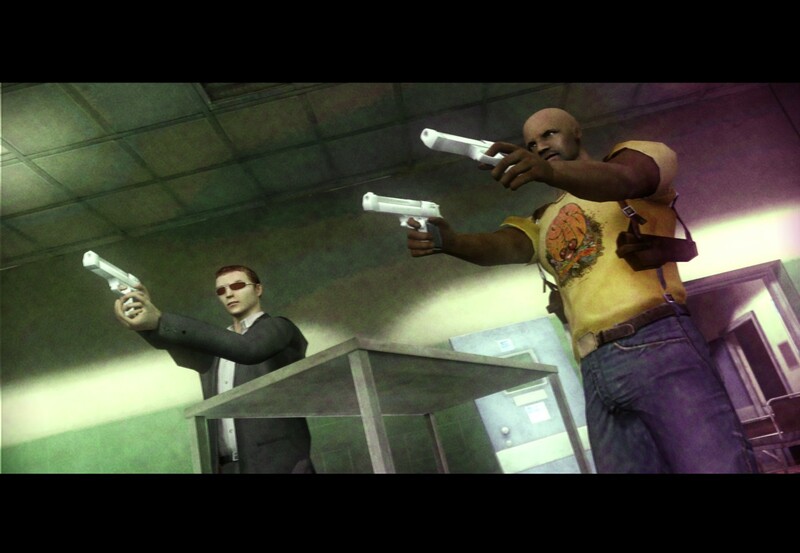 However, the voice in the game is that of renowned voice actor's Phil LaMarr. Dead Island is a fantastically good game with a lot of depth and fun to be discovered, the game that led Techland to create the amazing Dying Light. So, who do you voodoo?! Riptide is basically a straight sequel to Dead Island, but... it's not really Dead Island 2 somehow. I never really understood this. It's kinda like what GTA San Andreas and Vice City were to GTA III, or how Assassin's Creed Brotherhood and Revelations were part of Assassin's Creed II. Anyway, Riptide features new enemies and new locations, stuff like that, but the playable characters are still the same people, trying to get off the zombie infested island. Phil LaMarr reprises his role as berserk rapper Sam B. He's the best character to play as. Apparently, the Sorcerer is not the canonical hero of the game, whatever that means, although I couldn't find which class is the canonical hero. I don't know, maybe the Warrior, which becomes... Wait, no spoilers. But the Sorcerer has a very important part to play in the story and has the best progression in the game. He starts very weak and gains in power quickly. Although Diablo III didn't feature the Sorcerer class, Blizzard are planning to remake the original game within Diablo III and introduce this awesome character, because, seriously, I'm getting tired of my Paladin's stoic goody-two-shoes attitude. The Paladin in Diablo II probably is the canonical hero, because he's pretentious and heroic as all hell, but apparently only the Barbarian returns to Diablo III, so there's probably no such thing for Diablo II. I don't know who makes up these things. Just give them names. Anyway, all characters in the Diablo games have their own different personalities, The Paladin is my favorite class to play as. I don't know if you noticed, but I really dig Jack-of-all-trades characters, and the Paladin definitely is that, and a great character to start out for the first time. Dreamfall is the spiritual successor to The Longest Journey and it's a great puzzle adventure game with the story split between Zoë Castillo and Kian Alvane. Kian is an Azadi Apostle (like a soldier and assassin bundle) and that means he's of a fictional race like the Redguard of Elder Scrolls. Now, I didn't know if I should or shouldn't include him, but then I found a comment from one of the developers that confirmed his skin is really supposed to be a darker shade than it appears in the game. So it's official, Kian Alvane is black, even if it's a fictional black. And he's gay too. Yeah, after being kissed by a woman and trying to kiss her back later in the game, I find out he's into men in a boring scene that has no sense anyway. But okay, Kian is indeed a charismatic character, funny and deep at the same time, gracefully well voiced by Nicholas Boulton who gave him a strange and magnetic personality. Oh, and he's apparently 35 years old, if you wanted to know. It's canon. Another tie-in game with a popular movie, Enter the Matrix came out the same month The Matrix Reloaded hit the big screen, but its story is in fact tied to The Matrix Reloaded and it's the first Matrix video game. Taking place the same time as the second movie, we alternatively take control of two characters from the movies, Ghost (played by Anthony Wong) and Niobe (played by Jada Pinkett-Smith), and they're both just terrible. Not as actors, as playable characters. 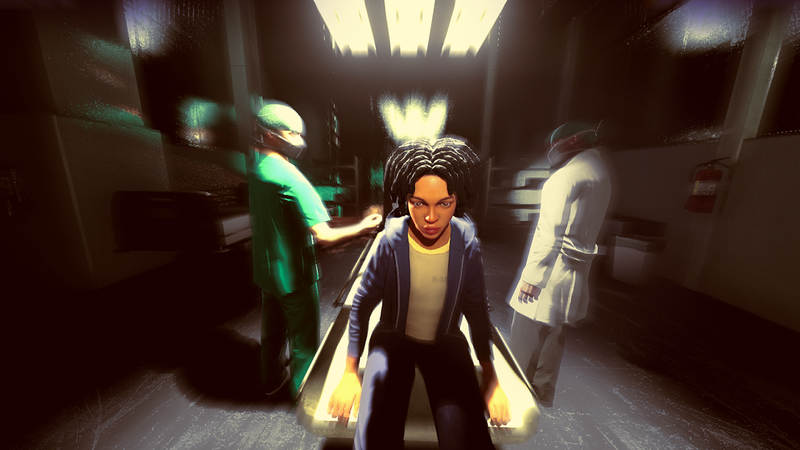 In fact, the brothers Wachowski had so much faith in this project they went to film additional scenes exclusive for the game with the actual actors. It kinda makes sense, because I can't imagine having any more budget for real game development. The game is a mishap, there's no excuse for its existence. It's awkward from start to finish, the story barely makes any sense and has no tangent on the gameplay. The characters are stiff, they run funny, there's supposed to be fighting combos but nothing works, you're better off just smashing buttons, and the worst struggle is with the confused camera. So, Niobe, she's great, as always Jada Pinkett-Smith does a great job, but not in the actual game. Yes, even the voice acting is odd, it sounds like it was recorded on the reading table, and it's not even worth it because you run like a welshman from corridor to corridor kicking enemies in the face, most of them poor security guards, game spewing exposition once in a while. Better stick with the movies. “Mick is a pre-made player character in Fallout Tactics.” It's what the Fallout Wiki tells about this character. Because I never played this game, but would love to, I'll just copy some stuff about this particular character. “Mick is not the brightest tool in the box, which is probably why he volunteered for the Brotherhood of Steel. They took him because he is handy with a gun. Reasonably strong and agile, he has the potential to become a good frontline soldier.” Basically, you can see how important he is in the story, right? And apparently, “Mick strongly resembles Tariq Raheem, one of the Fallout Tactics concept artists.” That's all I know. I know I'm cheating terribly right now, but it's either that or make up stuff I know noting about. Sorry! Well, the Far Cry 2 player character isn't very talkative, at least not under player control, but nonetheless, there are no less than 9 characters to choose from. Yes, sir or madam, nine of them and they all do have different personalities, backstories and even agendas. Unless you choose to play as one of them, in which case that one drops his personality completely and becomes your vessel, your puppet. 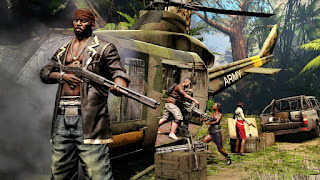 While Marty Alencar is the name of the poster boy, the character you see in Far Cry 2 trailers, posters and on the front of the box, every advertisement, he's not the most interesting of the bunch. In a game set in Africa, there's only one black character to play as. Andre Hyppolite, born in Port-au-Prince, Haiti... wait a minute! This guy is Adéwalé's grand-grand-grand...grandson. Mind-blown! So, Andre has a lot of experience in guerrilla warfare and worked for the CIA to eliminate government targets in Haiti. I also wanted to include Quarbani Singh, but while artistic depictions show him very dark skinned, he's obviously not black, but rather Indian, or more specifically, Mauritian Sikh from the island of Mauritius. While I can deal with fictional races based on black ethnicity, I can't disregard reality. This is a 2.5D side-scrolling hack and slash game that I'd like to recommend for the co-op feature. It's fun, funny and funtastic. You can pick one of the four playable characters and mow down those weird looking monsters. One of these characters is Sean, who fills the role of the black jock. “Sean loves firearms. It's his favorite hobby and he's become an expert when it comes to handling them. He's more at ease with ranged combat than with brawling, although he doesn't mind whacking monsters with a bat from time to time.” Sounds like a sensible fellow. Of course, I wouldn't even mention this game if it didn't have a story, but I don't know what it's all about. Was too busy plastering monsters to the wall. 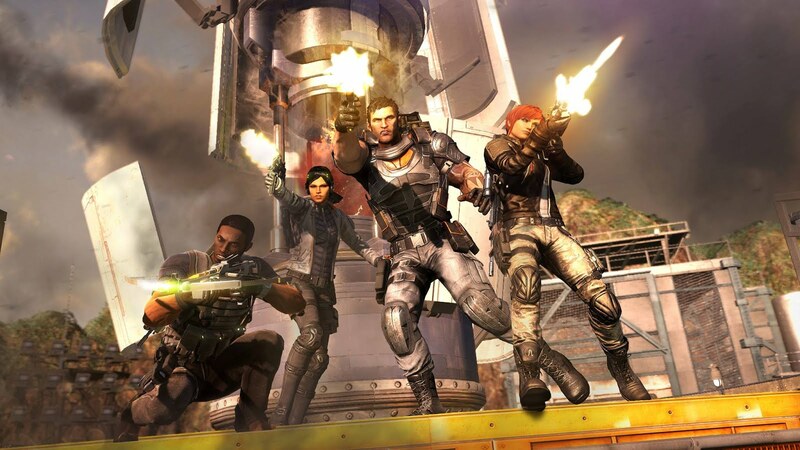 Oh Fuse... What started as the over the top, zany tactical shooter Overstrike, became Fuse, a four-player cooperative third person bore fest. You might ask yourself how a might and talented developer like Insomniac could crap out something like this out of something so promising. The answer is simple: pressions from the studio, in this case EA, of course, led to bad decision in chain reaction. So here's what we ended up with. I will say that I've only played the demo, but if a demo is not representative of the full critically panned game, then it makes no sense to have a demo. I don't know what the story is about, but it's a linear corridor shooter. Kill all, step through the door, go to next corridor, repeat. One of the playable characters is Jacob Kimble, "a decorated detective with a bit of a temper, equipped with a fire crossbow called the Arcshot". 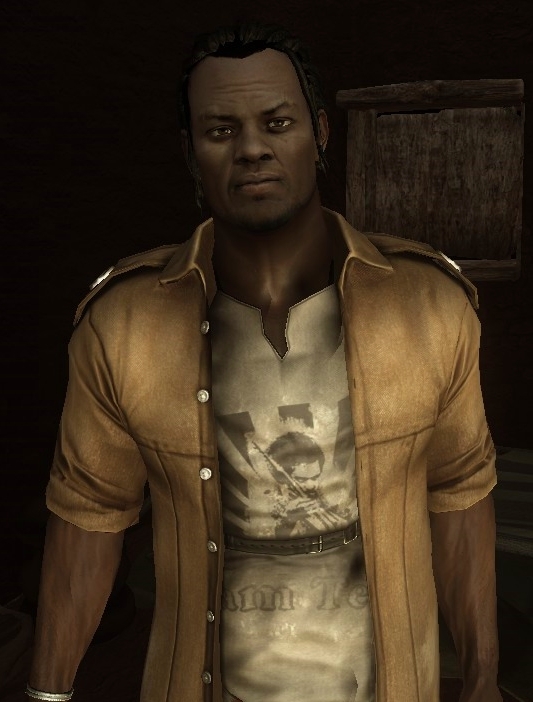 Kimble is played by renowned voice and TV actor Khary Payton, who you may know him from some obscure TV series known as The Walking Dead. He plays King Ezekiel, the guy with the tiger. In fact, the game has a ton of amazing voice actors, like Ali Hillis, better known as Liara T'Soni, Jennifer Hale... who only sounds familiar... and some guy, Brian Bloom, who voiced some unknown dude name William "B.J." Blazkowicz in Wolfenstein: The New Order. What the hell happened? 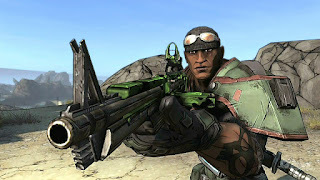 Why waste these talents on a poor co-op shooter? Oh, but please, if you plan on playing this game with your friends, spare the poor sods the torture, the game is easy as it is. This is a first-person action-adventure game set in the same universe as the hit TV series Heroes about people with special powers, like the X-Men, but zanier... No, exactly like X-Men. Using a variety of superpowers such as telekinesis and time travel, Cassandra must battle her way through an enemy-filled underground facility called The Quarry in order to save her abducted friend and solve a family mystery. Not only that, but it's somehow directly tied to the new revived season of Heroes, which I've quickly got bored watching and never watched since. Become Dahlia, a young, evolved human with incredible powers, to solve puzzles and survive tests to escape captivity at a secret government facility known only as The Quarry. Heroes Reborn: Enigma is a first person action-puzzle mobile game that I have not played yet. But I am planning to as soon as I finish Gemini: Heroes Reborn. Cassandra is Dahlia's little sister. Apparently, some Heroes characters are supposed to appear as brief cameos. We'll have to see. Carl "CJ" Johnson. What? You want more? 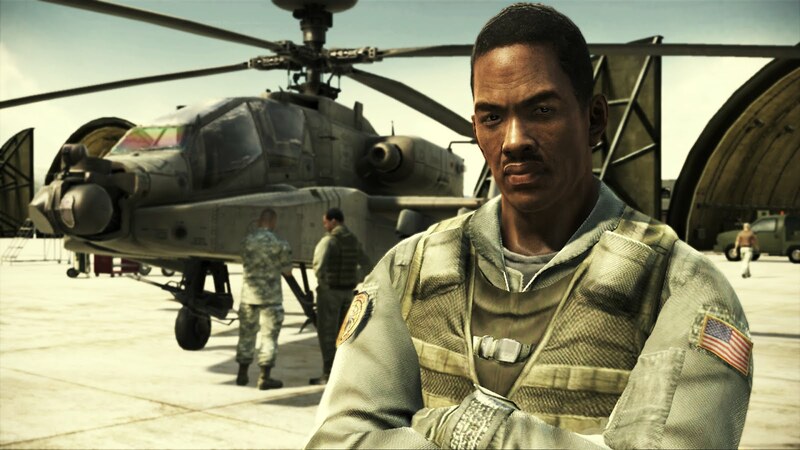 It's CJ, one of the most iconic video game characters, alongside Niko Bellic, of GTA IV, and Mario, from Assassin's Creed: Brotherhood. Oh man, what is there to say?! CJ is a guy who fled from a life of crime only to return back home after the death of his mother and get back into the thug life habits. He's voiced perfectly by rapper Young Maylay. There's also Samuel L. Jackson playing a dirty cop. In The Ballad of Gay Tony we're in the shoes of another of my favorite characters, Luis Fernando Lopez (voiced and mocap'd by actor and stuntman Mario D'Leon), the modest rebel. I don't know how Rockstar does it, but they do know how to create some fun people to play as. 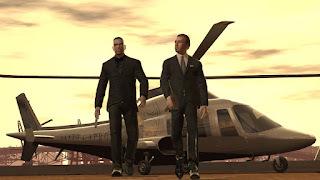 Maybe Luis is one of the most forgettable ones in the GTA franchise, but that's because he was eclipsed by his predecessors in GTA IV, Niko Bellic and Johnny Klebitz. To me, however, I always thought Luis was the most relatable, since I'm neither a Serbian war veteran, nor a gun-totting tough guy in a biker gang. Well, okay, I was never a Dominican night club bouncer either, but I did have a similar crappy job. All in all, I think Luis is a very overlooked character in a great standalone expansion for GTA IV. If you were ever on the fence, I can also tell you he gets the most awesome missions and there's an insane story to explore. Franklin Clinton (voiced and mocap'd by rapper and actor Shawn Fonteno) just reminds me of CJ and with a statement like that, what more can I say?! 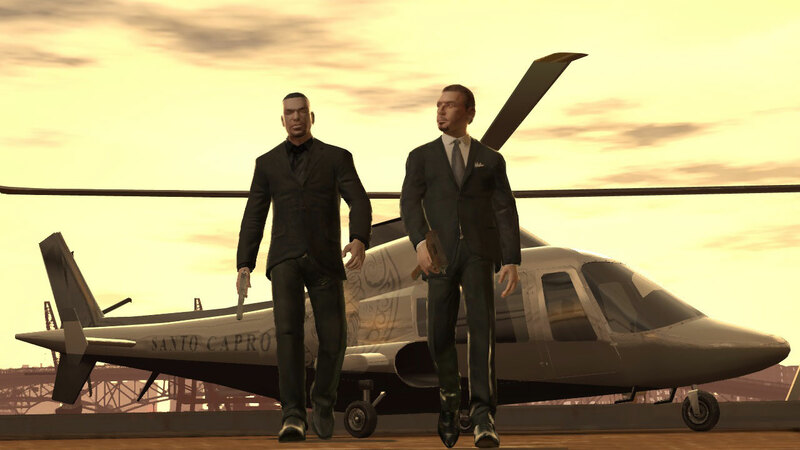 While CJ was the perfect ludo-narrative dissonance example, Franklin is an inexperienced gangsta with a thirst for moving up in the world at any cost. 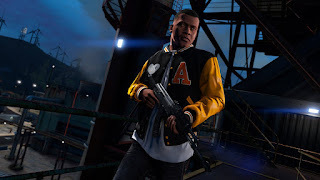 And whenever you want to play as a decent Los Santos citizen, he's good for it too, because his really easy to empathize with, he's not that bad, as opposed to playing good guy as Trevor. Now that's a weird experience. GTA V is undeniably one of the best games out there. 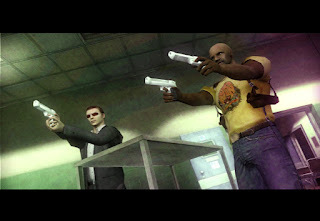 Hopefully not reminding you of the terrible (he who shall not be named) movie, in House of the Dead Overkill, you can choose to play as Isaac Washington (voiced by Anthony Aroya). No, not actor Isaiah Washington, but fictional Detective Isaac Washington. Overkill is the 5th game in The House of the Dead series, but it's actually a prequel to the original one. 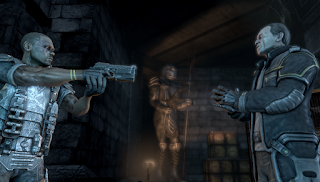 Isaac is the first black playable character in the series, if not the only black character in the series. Like of its predecessors, Overkill is an on-rail shooter with a very strong arcade legacy. In my opinion, it's one of the best on-rail shooters out there. While I was trying to write this list in alphabetical order, The Typing of the Dead: Overkill messed that up for me, because it's basically a gameplay spin on The House of the Dead: Overkill. It's the same story, but with typing instead of shooting, although the characters do shoot when you type. It's a PC only game, because you need a keyboard, obviously. The game also includes the Extended Cut version of The House of the Dead: Overkill, playable with a mouse or controller. I included this game because it is a separate installment, made by a now-defunct development studio, Blitz Games Studios. Based on the novel with the same name, this game is a philosophical ride and a psychological sci-fi horror under the guise of an adventure game. Some people like this game, some people don't. It has very difficult puzzles, it's deliberately misleading, and touches on some disturbing subject matter that might depress even the cheerful of chaps. The story, written by Harlan Ellison, who also co-designed the game, is about a robot, AM, who destroyed humanity and kept only 5 people to torture with metaphorical scenarios. Ellen is the first character I've ever played in this game and the only one I've managed to complete. It's not the best way to start the story, nor is it the best character to start with if you want the “good ending”. I found her story to be incredibly sad. This is a very unique game that had a very unwelcoming reception, but whoever tries to understand its disturbing nature will find a deep experience. In this fun versus fighter game set in the DC Universe, created by Mortal Kombat developers, NetherRealm Studios, you can choose to play as any of the 24 available super heroes, plus 5 DLC ones. The one hero we want to talk about is Cyborg. When you choose to play as a character in the story mode, you follow that character's arc through the plot involving Superman going evil after (spoil) is (spoiled) by (spoiler). 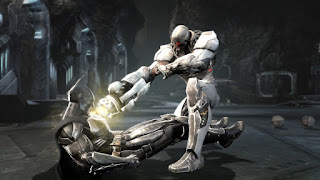 As Cyborg (voiced by Khary Payton, yes that Khary Payton from The Walking Dead and also voice of Cyborg in Teen Titans), you get to fight with an arsenal of cool gadgets and special moves, and I really think his witty humor really brightens up the bleak of the story, especially when he gets to fight his other self. I can't wait to play again as him in the upcoming Injustice 2. That's all I can get about him without going into spoilers. Honestly, having played a fairly similar game, Killer is Dead, during which I couldn't stop shouting “What the hell is going on?”, I'd really like to give Killer7 a try. Louis (voiced by Earl Alexander), a district Account Manager, is one of four survivors in a worldwide zombie apocalypse. Between an outlaw biker, a war veteran and a... university student, Louis is the likeliest of heroes, but when it comes to pills, he's the go to guy. 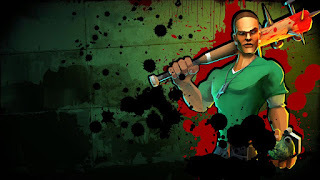 Left for dead is one of the most successful co-op shooters ever and it's not a surprise that Valve was so proud of it, they supplemented the game with free downloadable content and began development on a sequel. 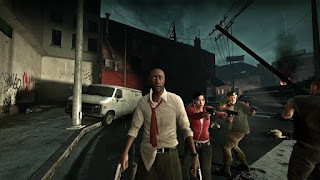 The follow-up to Left 4 Dead features a new cast of human survivors, and one of them is Coach (voiced by Chad Coleman), “a portly high-school football coach with a bad knee”. Coach is the one keeping the team whole, trying to juggle a frantic set of personalities in the team and get them all to safety. Like its predecessor, Left 4 Dead 2 is built on Valve's proprietary Source Engine, and like all Valve games, will probably never get a third installment. So enjoy what is left... 4 dead... 2. We started this whole thing talking about Mafia III's protagonist, Lincoln Clay, so we end our first part talking about him too. Lincoln Clay (portrayed by actor Alex Hernandez) grew up as an orphan and had to put up with the racism of the mid 1900s. That didn't seem to disturb him very much, those were the time and everyone pretended it was normal, as gut-wrenching as it is to say this. He joined the Army and fought in Vietnam, where he distinguished himself and became experienced with fire arms, explosives and tactical prowess. 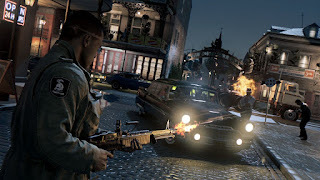 After his time in the war, he returned home to his adopting family who were running the Black Mob in New Bordeaux, Mafia III open world city. Soon after he starts running jobs for his new friends, the Haitian Mob betrays them and kill his family. Thus begins Lincoln's vengeance. Lincoln Clay's name comes from Abraham Lincoln, the US President who fought to free slaves, and Cassius Clay, the greatest boxer the world has ever seen, also known as Muhammad Ali. It's a powerful name that entails several powerful metaphors. The game may have not been received as well as we all hoped, mainly for its buggy release and some repetitiveness, but overall it's still a great game, with memorable moments, a powerful story and the most realistic characters I've ever seen in a video game. Mafia III is the proof and example of a maturing industry I'm eager to see what will bring for us in the future.